with nothing particularly spec worthy to pick out of last weeks releases! So instead I am posting my recent Preacher spec. It has been announced that Elizabeth Perkins is joining Preacher as Vyla Quincannon, owner of a meat factory (someone that does not appear in the comic). 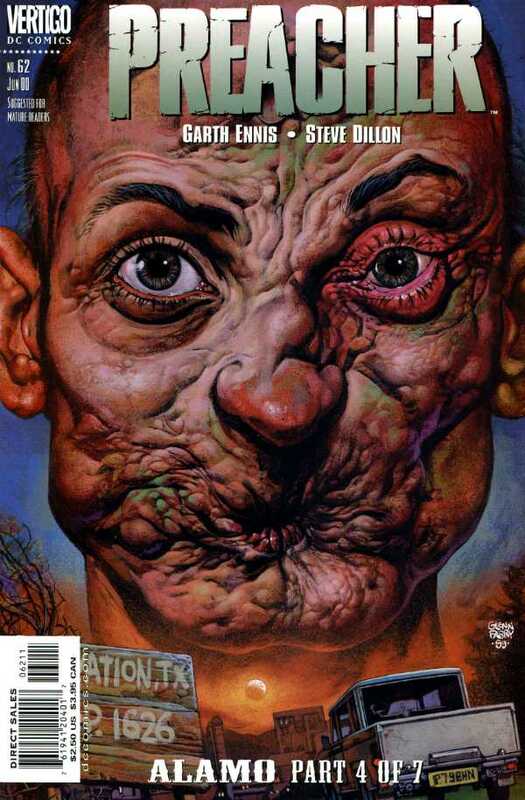 This is very similar to the character Odin Quincannon (Perverted, unscrupulous and racist, Odin is one of the vilest characters ever to plague the pages of Preacher and owner of a meat processing plant). 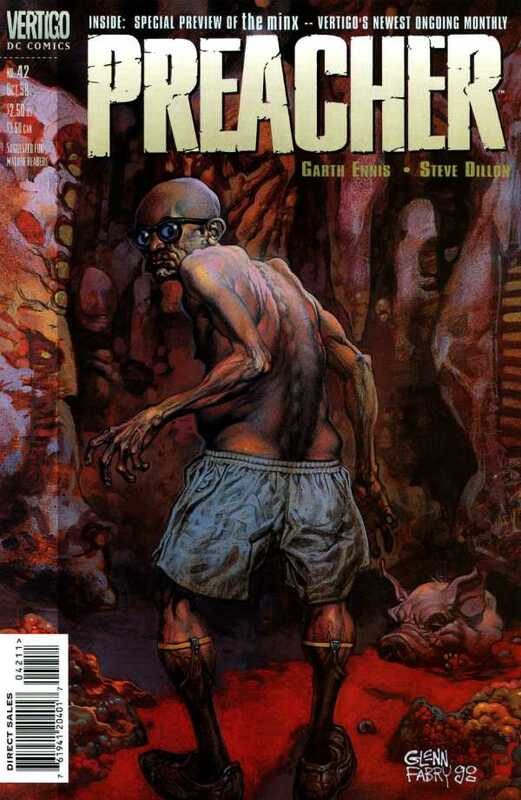 and his 1st appearance is Preacher 42. It may be they are replacing his character with Vyla (quite possible as Odin was a pretty disgusting & messed up, meat loving – literally- man so they may of had trouble actually bringing him to screen! ), but it is also just as likely that if she will appear that he will too. Either way you look at it, it's a pretty cheap spec and definitely worth the gamble. CONTAINS SPOILERS FOR PREACHER!After the death of his brother and the destruction of his meat-packing plant, Conan Quincannon arrives in Salvation and tries to do some good in the town by opening up a sewage treatment works.It is quite likely that he may show up in the TV show as well. Most likely a minor part, as he was only in the comic for three issues. Also, this has an awesome ArseFace cover!